Despite an early season upset of No. 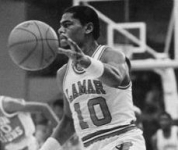 14 Texas A&M, Lamar had a mediocre 6-8 start. That eighth loss was in mid-January against No. 1 ranked DePaul. That near miss seem to propel the Cardinals as they won five straight and 10-of-11. 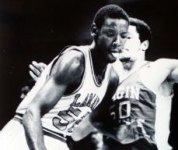 Billy Tubbs' team was led by Mike Olliver (21.7 ppg), B.B. Davis (16.5 ppg, 8.6 rpg), C Clarence Kea (14.9 ppg, 9.9 rpg). 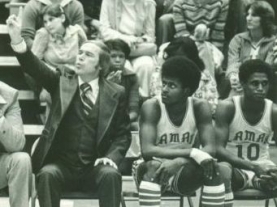 Point guard Alvin Brooks wasn't a prolific scorer, but he was the coach on the floor. Lamar upset No. 17 Weber State and No. 5 Oregon State to advance the school's only Sweet Sixteen appearance. The Cinderella ride ended in the regional semifinals against a Larry Nance led Clemson team.